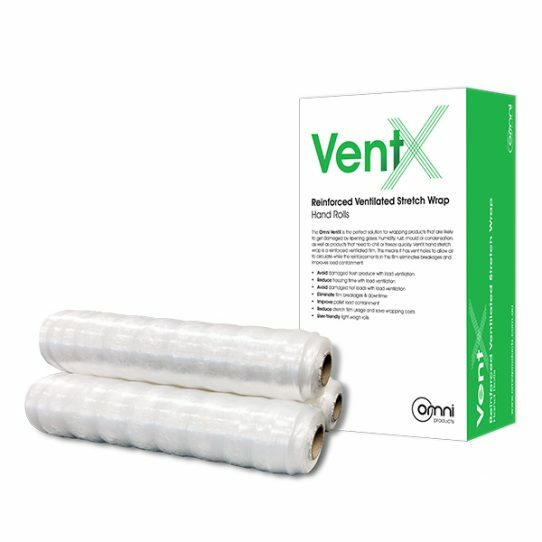 VentX Ventilated Hand Stretch Wrap is designed to provide a perfect solution for shipping temperature sensitive items. As the name suggests, it is a ventilated film that comes with vent holes. These gaps on the film allows proper air circulation, which helps to conserve items such as vegetables, fish, dairy products and several other kinds of food items. The ventilation keeps the products fresh, reduces freezing time and ensure that the products are delivered without causing any damage. While the holes on the film offers ventilation, it also eliminates breakages and improves load containment. The film is widely used in agricultural, horticultural and beverage industries.